If you are fortunate enough to have an Huawei P10 and are looking for a well constructed folio-style case, the manufacture’s option isn’t a bad one to consider. It is sleek, has a nice look and feel to it, and provides information at a glance through the smart view window on the front. case is easy. Just insert the right edge of the phone (where the Power & Volume rocker is located) into the side of the case then snap down the left side into it. You find that it sits flush on your phone. 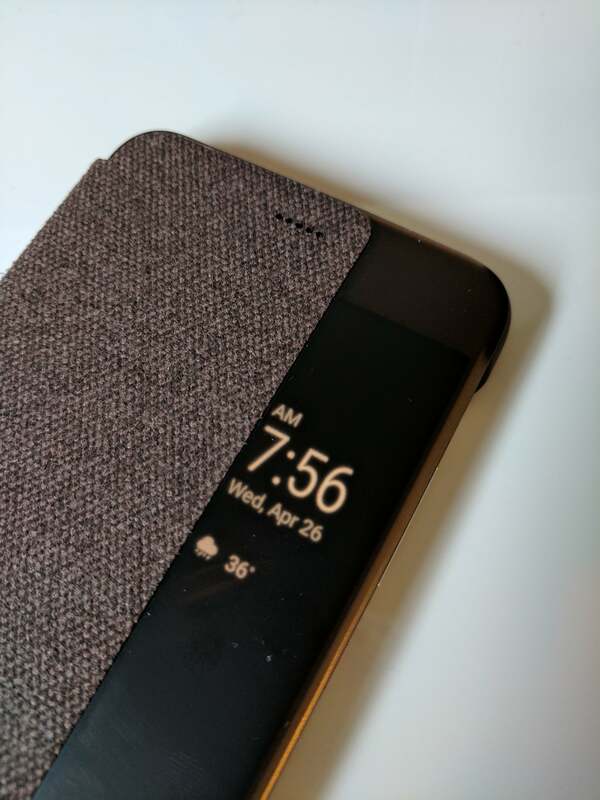 The edges around the phone are rubberized to give you something to hold onto more firmly than the fabric that protects the rest of the case. The case is constructed of this plastic shell where you insert your phone and a hard plastic cover that protects your phone. All of it is lined with fabric save the Smart Window on the front flap and is available in a brown or grey color. For this review, I have the brown. Unlike most folio style cases, the front flap is not sewn to the back part of the case. Instead, the fabric that covers the back of the case is cut so that the fabric on the front of the case is the same piece. It’s a great design and it eliminates a point where the stitching could wear out over time. As you would expect for a case designed by the manufacture for their phone, the Huawei Folio case has all of the control and port cutouts for easy access & use. The bottom edge of the case gives uninhibited access to the USB-C connector for charging and 3.5mm headphone jack. On the right side edge you have access to the Power button and Volume rocker respectively. What makes this case special is its interaction with EMUI that is running on the P10. Within the settings, you have the ability to enable the Smart Case feature. This tells EMUI that you are using a case with a glance window and it will display information like the date & time, the weather and your step count if you are using the Huawei Health app. 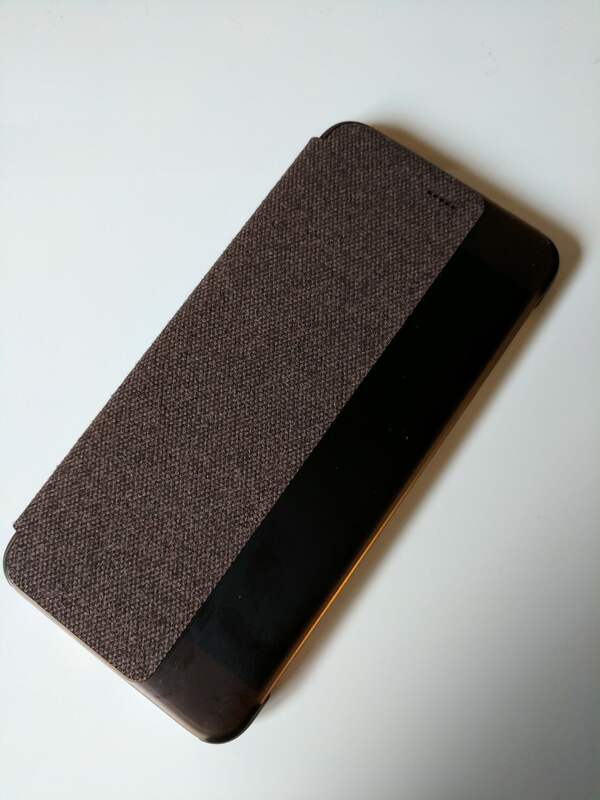 By default, this is turned on for the P10 and if you have the phone on and close the case, you will see this content through the dark brown window on the front of the case. While the information in the window is limited, it is useful to get a peek at the time without having to open up the case. Just tap the power button when the case is closed and it shows up in the window. Ideally it would be good to have more information here like unread email counts or text messages. This is something that would be great for Huawei to add in a future update to EMUI.